The main object of this article is to simplify the law on the making of wills to the layman’s understanding. A will is simply a legal document by which a person expresses his or her wishes as to how his or her properties should be distributed at death. However, not every writing of such intention will qualify as a valid will upon the death of the person making it (the “Testator”). Thus, it is important for any person intending to make a Will to do so in accordance with the rules as provided for in the Wills Act, 1971 (Act 360). 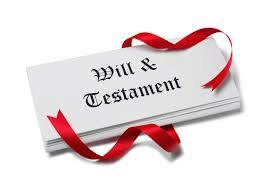 Making a will in accordance with the law will avoid unnecessary litigation upon the death of the Testator. Also, a will not made in compliance with the law will be declared invalid by the court. The subsequent paragraphs summarize the requirements for executing a valid will in Ghana. 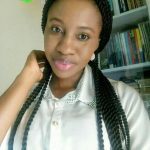 Any person eighteen (18) years and above can make a will in Ghana. The will must be in writing expressing how the properties owned by the Testator are to distributed. The exception here is that persons of unsound mind who are incapable of understanding the nature of their actions are not qualified to make a will. Thus, at the time of making the will, the Testator must be of sound mind so as to be capable of understanding the legal consequences of his actions. Where it is proved that at the time of making the will, the Testator lacked the mental capacity such that he did not understand his acts, the court will invalidate the will. It is only property either owned by the Testator or that the Testator would be entitled to at the time of his death that can form the subject matter of the will. What this means is that a person cannot make a will disposing of properties belonging to another person or properties he is not entitled to. The Testator must sign the will or in the event where he cannot sign, direct for the will to be signed on his behalf by some other person. The signature of the Testator or the person signing on his behalf must be underneath the dispositions made or the directions given in the will. Any direction or disposition made after the signature will not be validated by the court. Thus, the Testator must ensure that his signature appears as the last thing after all directions or dispositions are made. Often, persons making wills tend to insert after the signature and attestation clause, properties which they have omitted to put in the will before signing. In such circumstances, the law provides a number of options. The first option is to make an alteration to the will. The second option is to make the will again. The third option is to make a supplementary document (referred to as a codicil) incorporating those additions or changes to the initial will. The signature of the Testator is required to be made or acknowledged by him in the presence of two or more witnesses present at the same time. Where the Testator directs another person to sign on his behalf, the signature of this other person shall be made in the presence of the Testator and two or more witnesses present at the same time. The witnesses shall sign and attest to the will in the presence of the Testator. It must be noted that the witnesses need not see the content of the will. They are only to attest to the signature of the Testator or the person signing on his behalf. Where the Testator is blind or illiterate, a competent person shall carefully read over and explain to him the contents of the will before it is executed, and shall declare in writing that he had read over and explained its contents to the Testator and that the Testator understands it before it was executed. An executor is a person appointed to administer the estate of a person who has died leaving a will. The executors are nominated in the will. Unless there is a valid objection, the court will appoint the person or persons named in the will to be executor(s). The executors must ensure that the person’s desires expressed are put into effect. Practical responsibilities include gathering up and protection of the assets of the estate, obtaining information with regards to all the beneficiaries named in the will and any other potential heirs, collecting and arranging for payment of debts of the estate and so on. The executors’ duties are very crucial to the administration of the estate of the Testator after his or her death. One must take due care in appointing his or her executors in a will. In Ghana, any person of or above the age of twenty-one (21) years can be appointed as an executor and such an executor may attest to the will as well. Mistakes are bound to happen in the making of will. And of course, people change their minds as well. Alterations can, therefore, be made to a will. The law requires that every alteration to a will be made and executed in the same manner as is required for the making of wills. This means that every alteration to a will must be in writing and signed by the Testator or a person on his or her behalf. The alteration must also be attested to by witnesses in the same manner as the will itself. In the alternative, the will can be re-executed or a subsequent codicil (an addition or supplement that explains, modifies or revokes the will or part thereof) can be prepared and attached to the will. secondly, where a will is in a written form (whether or not in the handwriting of the Testator), the signature of one witness is required to make it valid. thirdly, where the testator made an oral will, two witnesses are required to attest to the validity of the will. All three forms will form a valid will. Such a will remains valid even though the Testator ceases to be a member of the Armed Forces. the execution of another will which is expressed to revoke the previous Will. In the absence of the expression to revoke the previous Will in the subsequent one, the previous will remains valid. It must be pointed out that an accidental destruction of a will is not enough to revoke it. A person who makes a will may deposit it in his lifetime at the High Court. The will to be deposited must be sealed under the Testator’s own seal and the seal of the court. If any person has in his or her possession any will or writing purporting to be a will, the person must deposit it in the High Court. Failure to do so within fourteen (14) days after having knowledge of the death of the Testator will amount to an offence attracting a penalty. It is important for a Testator to make provisions for dependents in his or her will. Dependents in this regard mean parents, spouse or children under eighteen (18) years. The law allows these dependents to apply to the High Court for provisions to be made for their maintenance if no such provisions were made for them in the will and no reasonable provisions were made for them by the Testator during his or her lifetime. A will is a very important document. It expresses the desires of the deceased person as to how his or her properties are to be distributed. It is believed that the preceding paragraphs will be more beneficial and will serve as a good guide for preparing Wills in Ghana. It must, however, be noted that the court adopts certain rules of construction or interpretation of Wills. The Will must be well drafted to reflect the Testator’s intention. The will must also be made in accordance with the law. Ambiguities must be avoided. To ensure that a valid will is executed and for the purposes of the degree of technicalities involved, it is always advisable to consult a lawyer when making wills in Ghana. Great piece of work done. Very straight forward and on point.